You’ve made the wise choice to roll over your 401(k) or IRA to a gold IRA, but what factors are important to consider when selecting a gold IRA company to work with? Gold has represented something of value for thousands of years, and even today we find that intelligent investors show serious confidence in gold’s inherent stability and security – a benefit that other investments simply cannot offer. That said, investing in gold or rolling over your existing investments into a gold IRA can get complicated, and possibly the most important part of the process is finding the right gold IRA company to fit your needs. Here are the main factors to consider during your hunt for the right investment partner. Unlike investing in traditional securities, a gold IRA places your hard-earned dollars in a tangible asset. The reputation of the company is of critical importance, as they will be your primary point of contact as you manage your individual retirement account in terms of buying and selling precious metals. Ask yourself: has this company been in business long enough to have an actual track record of delivering orders on a timely fashion? What is the customer service like? Are they on any of the watchdog websites, like the Better Business Bureau, Trustlink, or Trustpilot? Lastly, work with a gold company that you really feel good about it. As you move your investable assets over to a Self Directed gold IRA company, you’ll quickly find companies may charge a variety of fees. 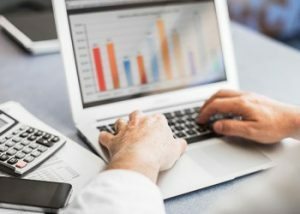 Flat annual fees in the several hundred-dollar range are commonplace, as are scaled fees that change based on whether the account is in one of several tiered account balance brackets. For example, if you had $150,000 invested with a Self Directed gold IRA company, it would be beneficial if they offered a flat-rate fee schedule, which typically runs about $250 annually. If the scaled fee system was the only option, you’d likely end up paying more. Another consideration to make is to the general account policies. Are they so strict that you’re paying account fees that may feel unreasonable? You’ll want to ask these questions, at a minimum, prior to rolling over any of your assets. Even if you are committed to a gold-based IRA, it is important that the company you’re partnering with offers a variety of precious metals investments. You could further diversify your portfolio by including metals like silver, platinum, or palladium in your investment plan. Additionally, the IRS specifies which type of gold bullion can be included in a gold IRA, so make sure that your investment company offers the commonly approved ones like American Eagle gold and silver proof and bullion coins, gold and silver bars, Canadian Gold and Silver Maple Leaves, as well as the Gold Buffalos. The company’s reputation, their mark-ups and policies, and the variety of metal investments available today speak to the gold IRA company’s overall mission to provide you with a safe and sound place to invest your hard-earned dollars. But, keep this in mind, gold brokers are not financial advisors or tax accountants. But very knowledgeable about precious metals and the entire Gold IRA transfers and roll overs.